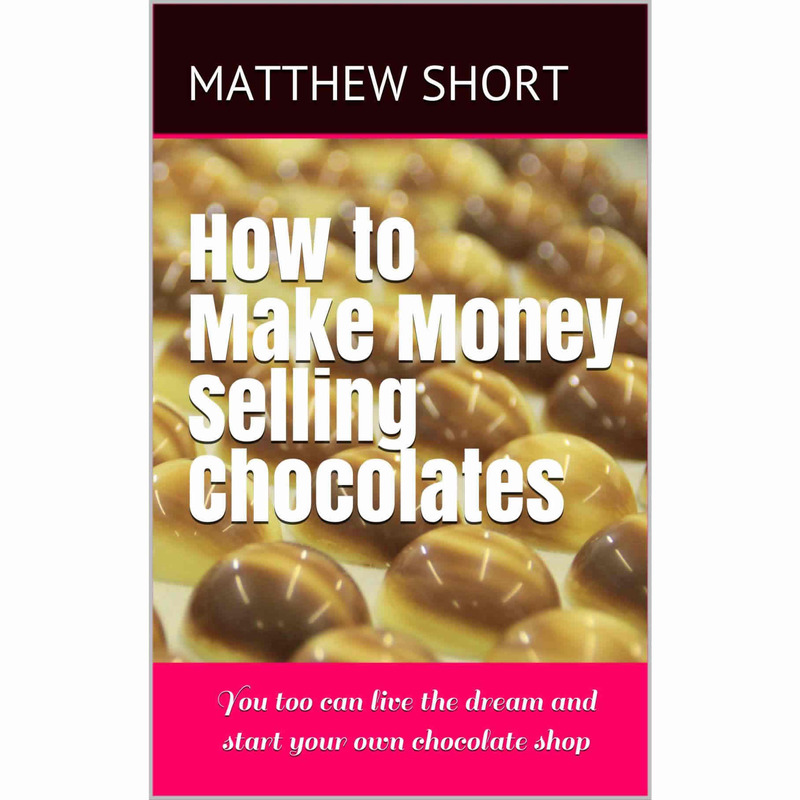 The Full Colour Paperback edition of our new book – How to Make Money Selling chocolates. You will be redirected to Amazon to complete the purchase. When you finish this book you’ll effectively have 10 years experience and will have all the information to allow you to open and run a successful and profitable retail business! Gift wrap this item for £3.00? Opening and running a chocolate shop can be exciting, fulfilling and for many people the chance to live their dream job. The opportunity to be your own boss is a compelling one, and as a chocolate shop owner delighting your customers with the “Food of the Gods” what’s not to like? Then you wake up at 4 o’clock in the morning with a cold sweat. You’re about to plough your entire life’s savings plus some money borrowed from family and friends, and if you’re lucky a loan from the bank, into your new venture. But are you doing the right thing, will it make you money and serve your lifestyle or will it be a bottomless money pit dragging your spirit down? We were in this very position in September 2009. We had been running a chocolate making business from home for two and a half years with some critical and financial success, but not enough to support us as a family. We wanted to take the next step to what we thought would be a ‘proper’ business – a production facility and a chocolate shop. The next seven years can only be described as the proverbial roller coaster ride! We remortgaged our house opened a chocolate factory and a chocolate shop. Ran the shop for five years and won multiple awards before selling it at a profit. We opened three pop up shops attended food fairs everywhere from our local schools to London’s Olympia and continue to win awards and supply the most highly renowned luxury stores and chocolate shops throughout the UK and Ireland. But we made a lot of mistakes on the way and at one point were a few weeks away from bankruptcy! So in this book we’ll give you the benefit of those mistakes, without the associated costs, and our consequent best advice on opening and running a chocolate shop and cafe. The comprehensive information given in this book might be applied to any small retail business. We’ll talk about everything from business plans to finding a premises. How to run a pop up shop on a shoe string budget and the pros and cons of buying or leasing a premises. We’ll discuss environmental health implications and the practical elements of branding and fitting out a shop.